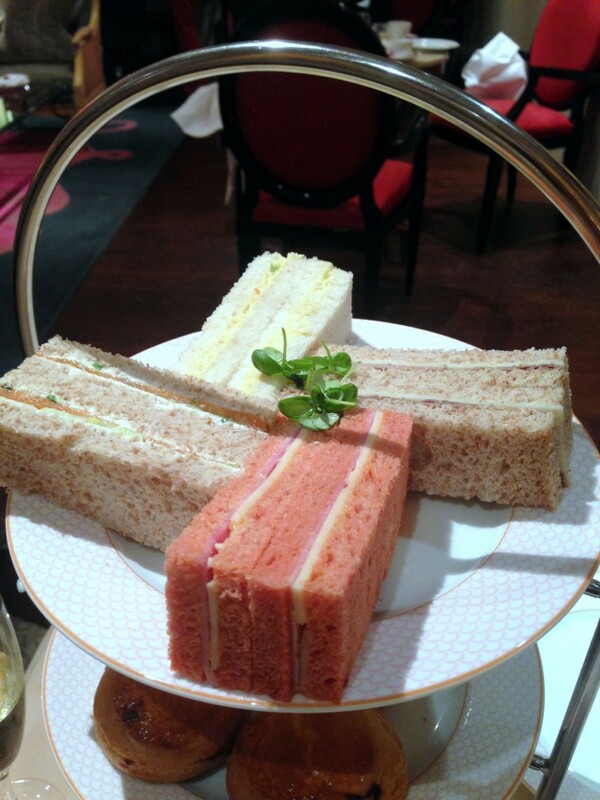 The afternoon tea costs £30 and comes with four sandwiches (£38 with a glass of champagne). We had salmon and cream cheese, roast beef and horseradish, coronation cheese, and our favourite was the ham with emmental cheese on beetroot bread. The bread was a cute pink colour and its delicious flavour worked really well with the nuttiness of the cheese and the meatiness of the ham. 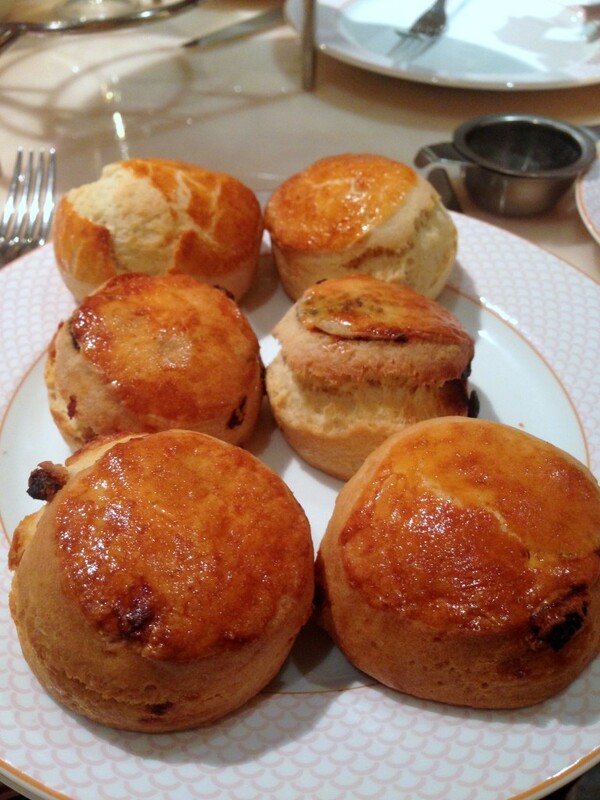 Next came the scones which were served warm. We both got three – plain, raison and apricot and they smelt absolutely incredible, oozing with that wonderful aroma of freshly baked goodies. We loved these scones as they were delicious with a fabulous bake – slightly crunchy on the outside and soft and fluffy on the inside. I would go so far as to say these were some of the best that I have ever had. To accompany the scones was a combination of rose and strawberry jam, lemon curd and the all-important clotted cream. We moved onto the pastries and you get two as part of the menu (extra pastries cost £3.50) which you can choose from the pastry trolley. 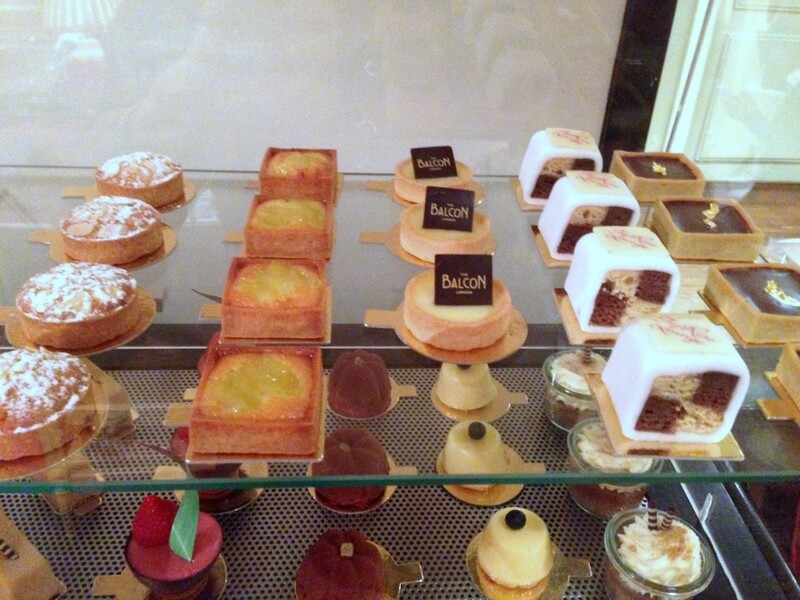 We enjoyed the lemon tart, yuzu jelly and the passionfruit cheesecake, and particularly loved the chocolate with Grand Marnier and orange as it was fabulous. Mousse-like in texture, it was smooth and creamy with the gentlest hint of orange and Grand Marnier to give it that hint of something special. Only the white peach tart wasn’t quite to the same standard. The pastry was a little soft and the filling wasn’t that flavoursome. 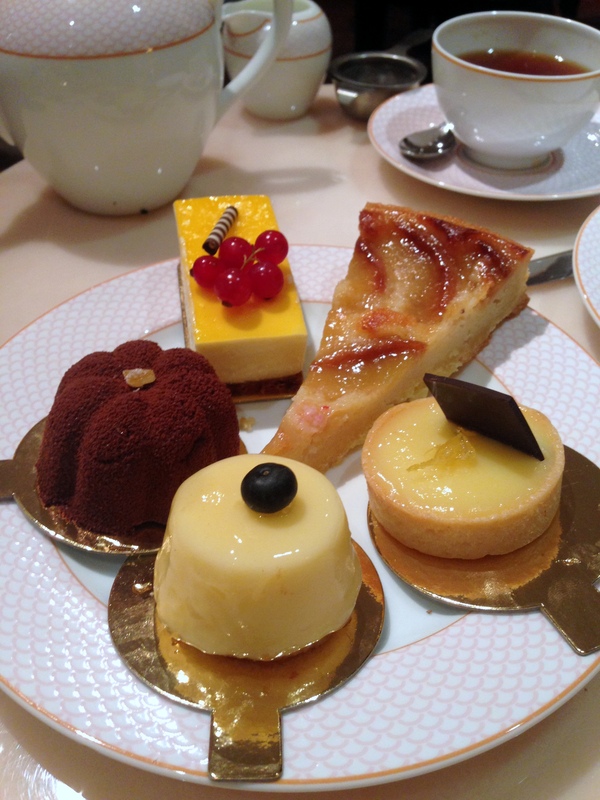 I’ve had many an afternoon tea and enjoyed most of them. 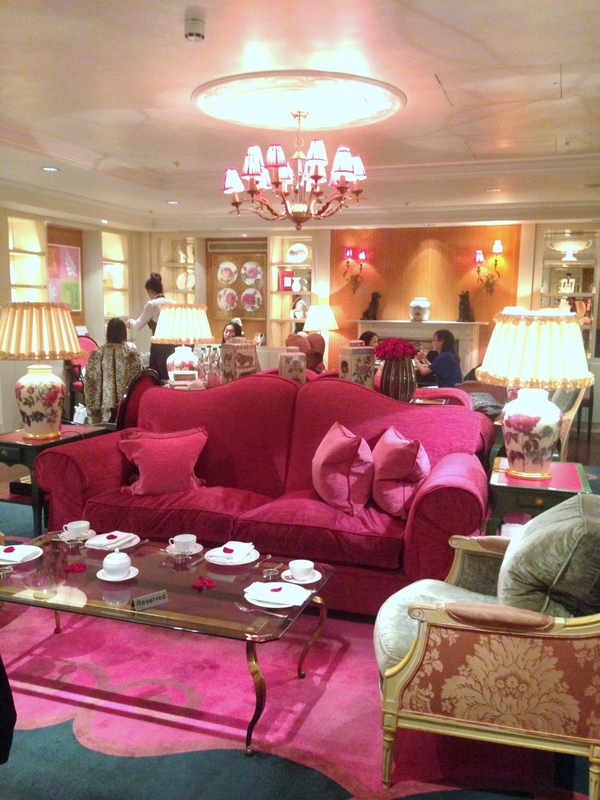 But I loved the one at the Rose Lounge at the Sofitel. 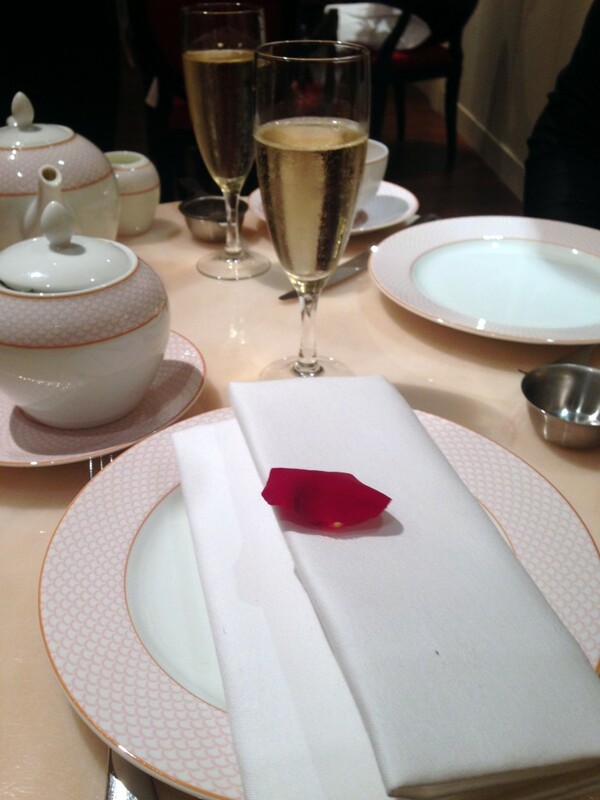 Perhaps it was the very pretty tearoom that made the experience particularly memorable. Or it could have been the well-made sandwiches or the heavenly scones. Anyway, I’m really not sure what the highpoint of the afternoon was, but whatever it was, everything came together nicely. The service was really good too. Prices: £30 for afternoon tea, £38 for afternoon tea with champagne. Extra sandwiches (4 pieces) and extra scones (3 pieces) cost an additional £7. An extra pastry costs £3.50. Excludes additional drinks and service.